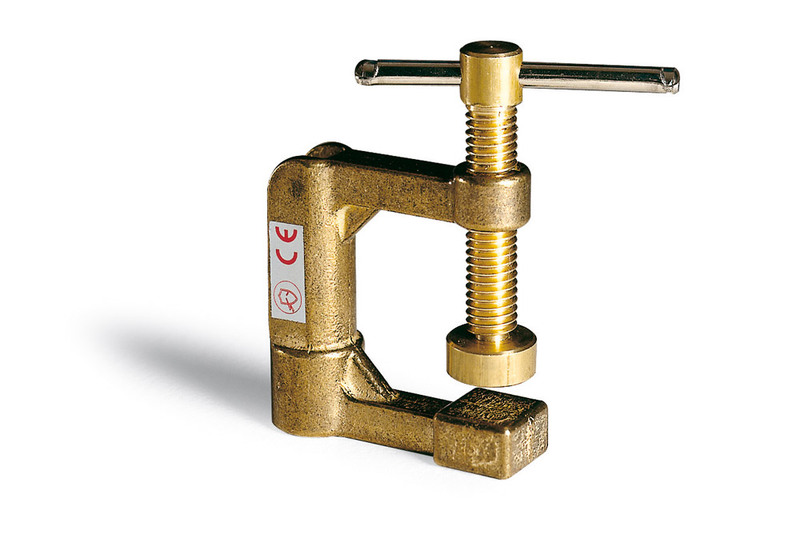 Sacit’s clamps are perfect for the professional user who looks for a ground clamp made of sturdy materials such as die-cast brass and steel which ensure an optimal electrical conductivity. 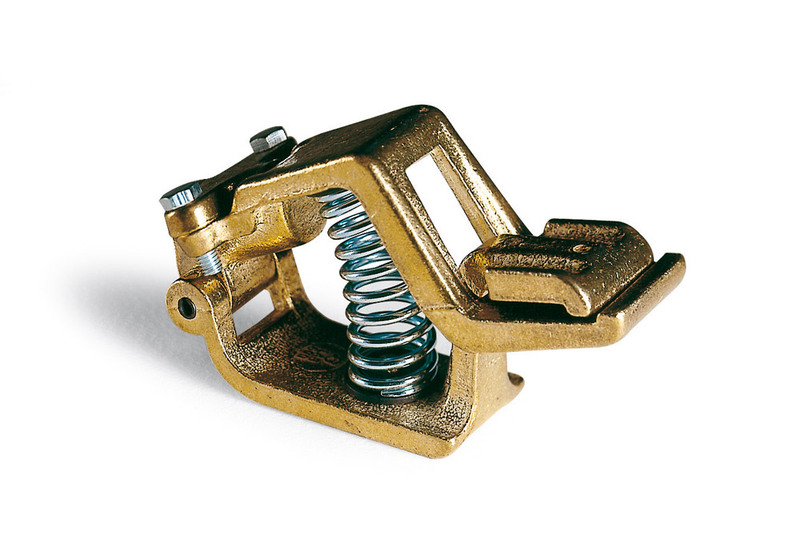 Sacit ground clamp is in compliance with EN Standard BS 638.5 and is characterized by sturdy and safe cables clamping systems. 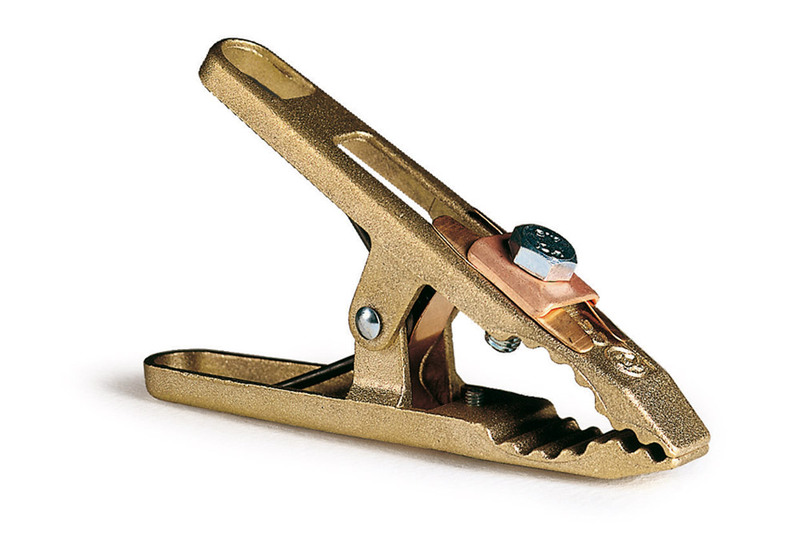 Ground clamp with pressed steel structure, steel contacts and copper shunt. Cable is screw-fastened directly onto the contact zone. 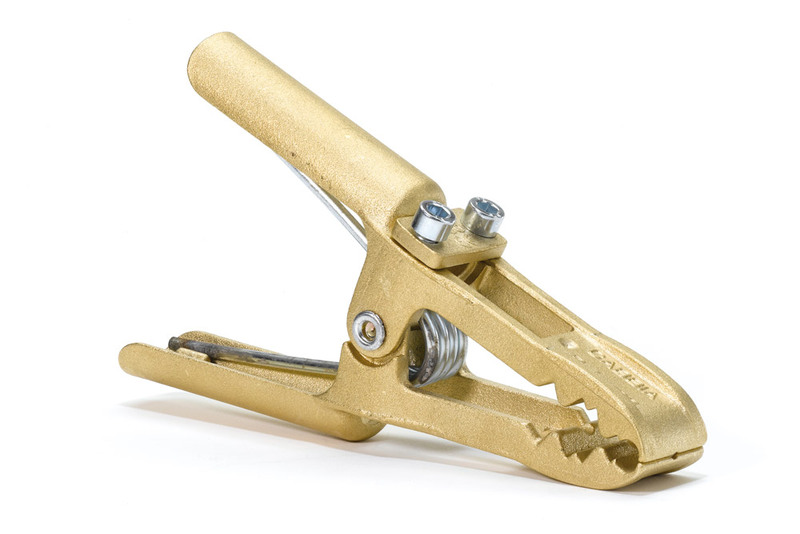 Ground clamp with rustproof steel structure. Copper-plated brass contacts and copper plait. 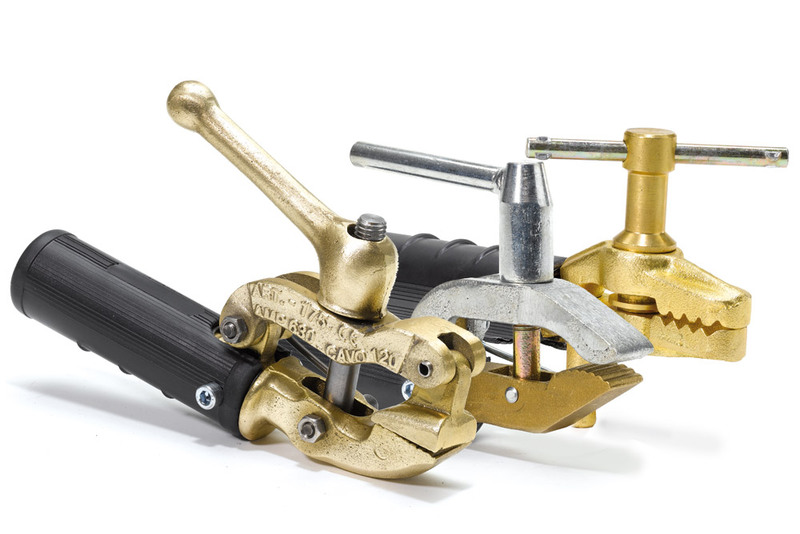 Clamp specific for PLASMA processes, totally insulated and with brass contacts to ensure an optimum connection. 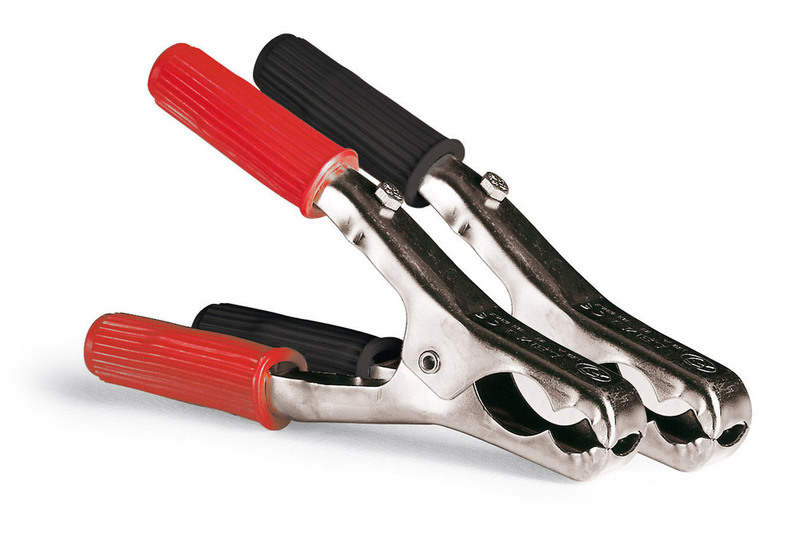 Cable clamping with crimp connectors. 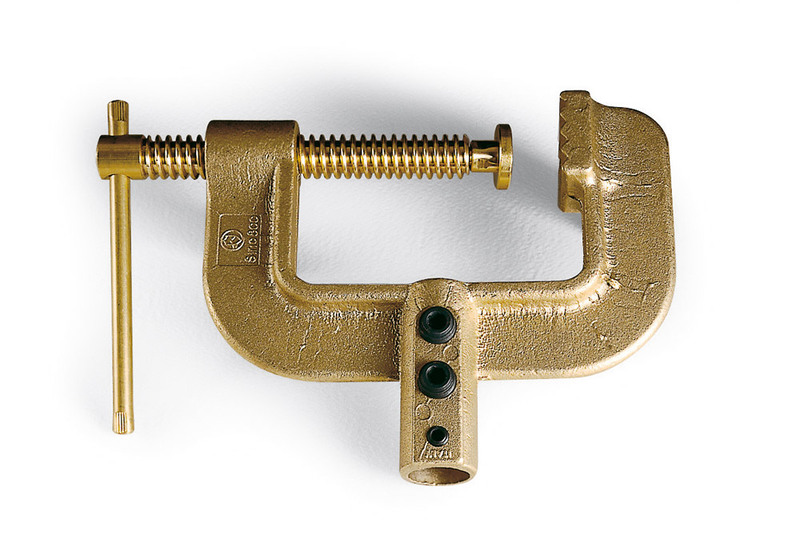 Die-cast ground clamp, cable holder in brass and copper shunt for guaranteed connection. 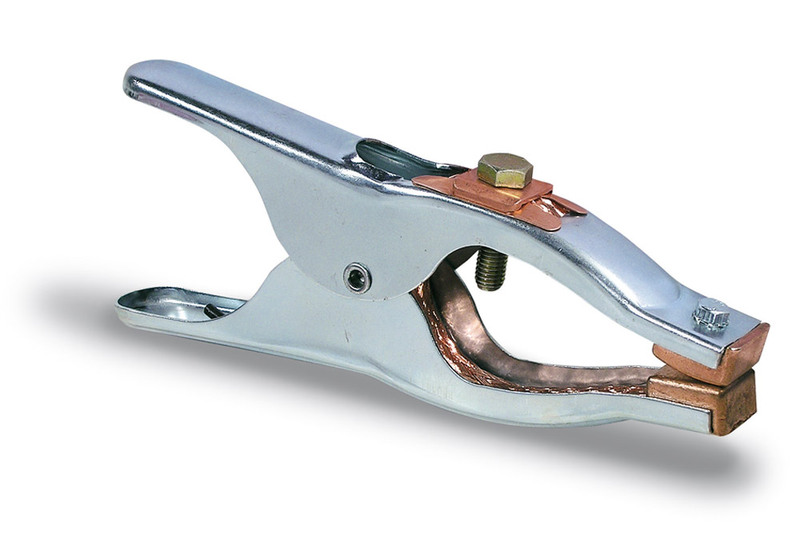 Ground clamp with screw-fastening system and tilting contact; specific for fixed high amp work stations. 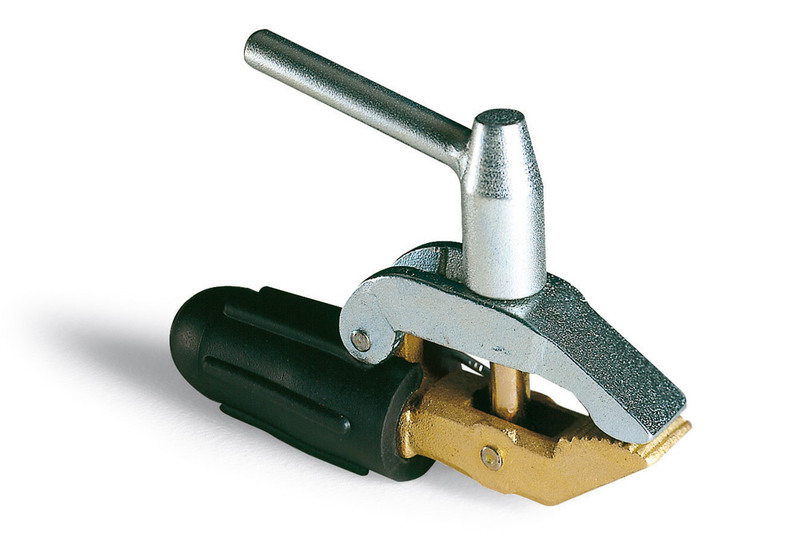 Ground clamp with screw-fastening system and tilting contact, special rubber handle with metal core, specific for fixed high amp work stations. 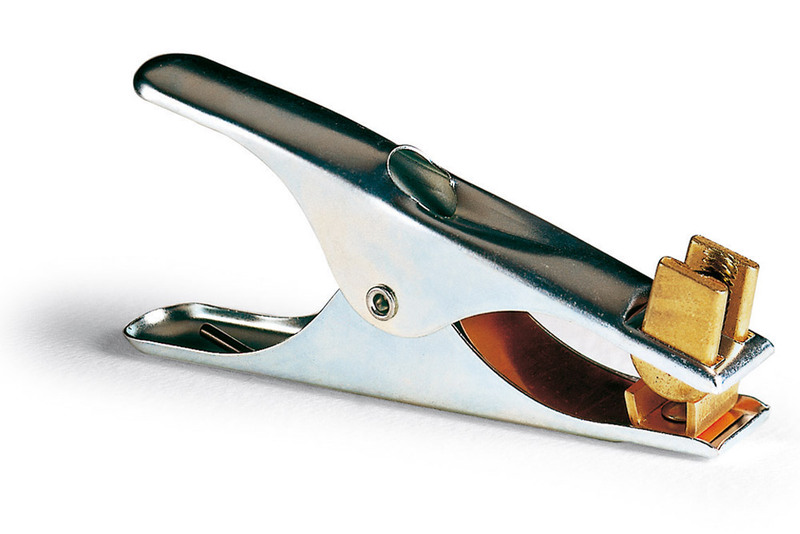 Ground clamp with screw-fastening system and rocking contact: specific for fixed high amp work stations. 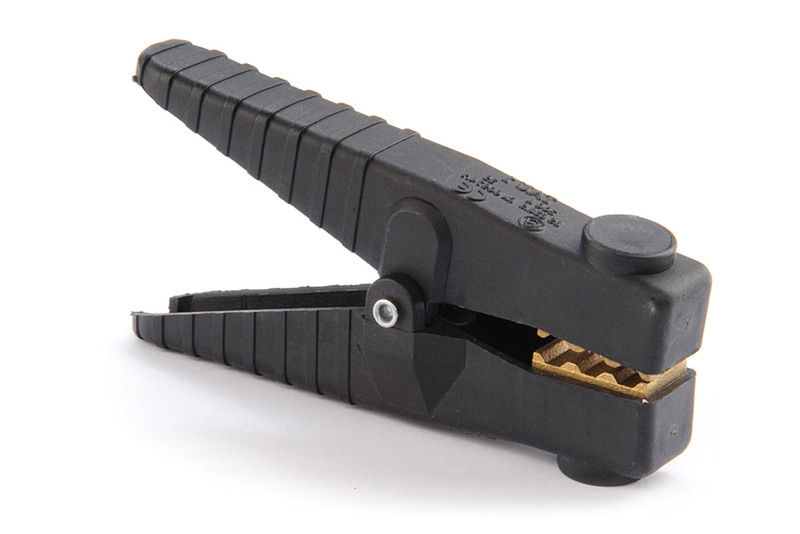 Ground clamp with insulated springfastening system, specific for fixed high amp work stations. Made of pressed and treated steel.